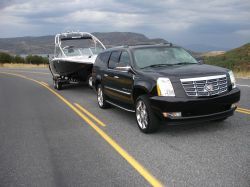 Or go in style in one of our Escalade ESV's! 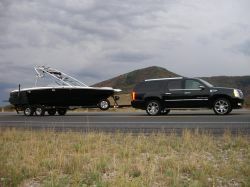 With seating up to 8 this is the VIP way to arrive at the lake. We even have sedans for the single and double riders that want to arrive in style. The boat will be in the water when you arrive, so let us get you there and back! Our clients love to party and ride hard knowing that there is safe and relaxing transportation waiting to get them home after a long day on the lake. Be sure to ask about ground transportation or, watercraft delivery services when booking any wakeboard boat rental or charter service.